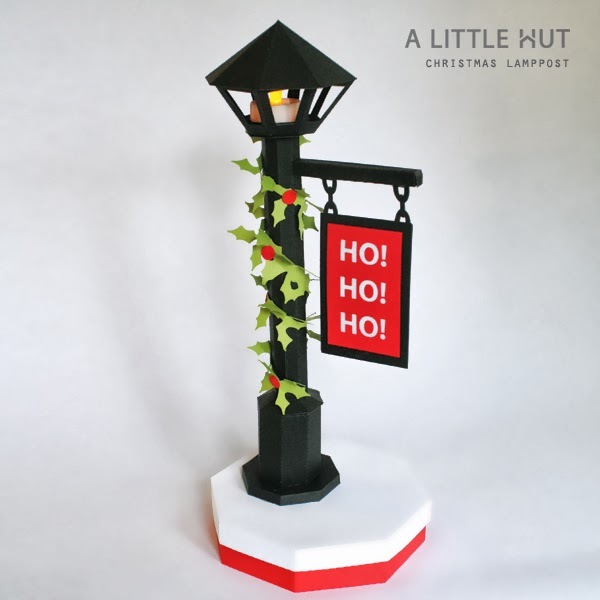 A little late but here is the project for this week—a Christmas Lamppost Gift Box & Tea light holder! 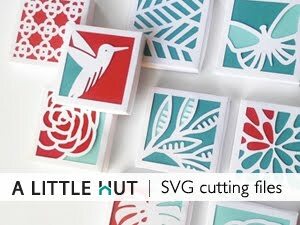 If you place an order equal or higher than $9.98 it's free (Coupon code: thankyou - expires Sept. 13th). It started out as a simple lamppost idea. As I was making it I thought it would be really cute to make a garland tutorial for it down the road on the blog. But then, hello!... why not add it now? 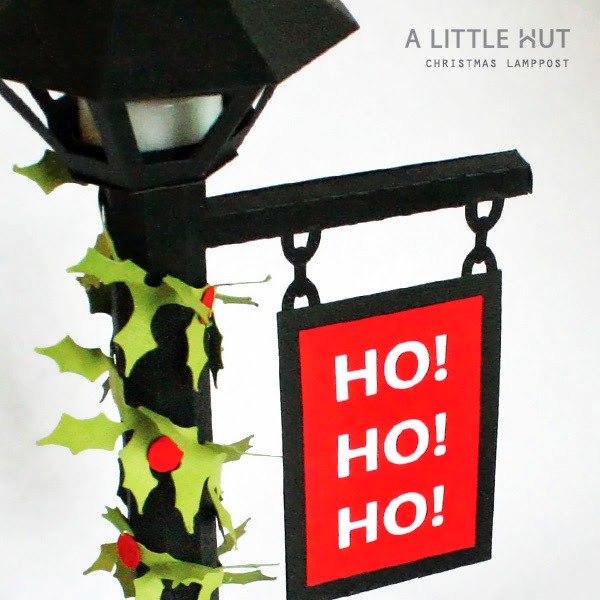 I made the cover white because of the holiday theme but imagine this lamppost during any other time of the year and it could be surrounded by flowers and green grass or a bunch of fall leaves (ohh that would be such a fun one to make!). The sign is also something that can easily be customized! The 'Ho! Ho! Ho! is part of the project, as shown, but you can use this for birthdays and so many other celebrations. I hope you have fun with it and have a wonderful weekend! I for one am enjoying the grayish rainy day we're having today. It makes us slow down and I like that!